Nikica Jelavic is on the verge of moving to Hull City after Everton agreed a fee, believed to be £5.5m possibly raising to £7m with the Humbersiders. Jelavic is expected to travel to Hull to hold talks with Steve Bruce over the weekend and will no longer be part of the Everton squad that takes on Norwich City on Saturday. It is genuine shame to see Jelavic leave Goodison Park. The Croatian striker dried up in front of goal after a fabulous start to his Everton career, but he will be fondly remembered by the Evertonians who appreciated his fantastic work ethic, even when he wasn’t enjoying the best of times in front of goal. He ends his Everton career with two goals in last weekends win over Queens Park Rangers. When the move is confirmed, Everton will be left short in attacking areas, although it is hard to believe that Roberto Martinez will not already have a replacement lined up, especially with Arouna Kone out for the rest of the season with a knee injury. The Martinez revolution continues and I am genuinely excited to see who is signed to replace the former Glasgow Rangers man. 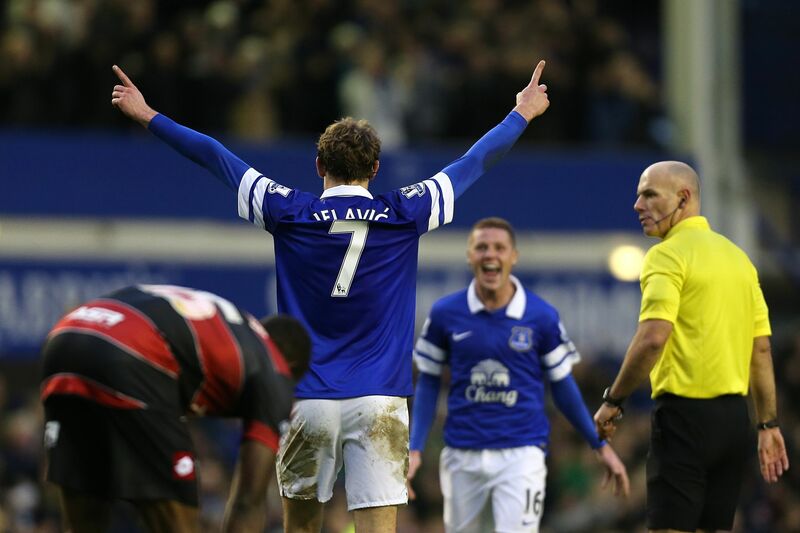 All at St Domingo’s wish Nikica Jelavic the best of luck for the future. Next Post Does Howard Kendall deserve a statue outside of Goodison Park? You can’t deny what is fact. Humberside does not exist.